The world is a livelier place to live in, when cultural differences give us something to talk about…. It’s funny how some habits that are usual in one country are rude in another. Indians believe in the burping-after-a-meal concept. The show of appreciation towards the chef couldn’t get better than this. Japanese like to slurp in their noodles with a sound for sensorial tasting. Italians prefer fingers to forks and knives when gorging on pizzas – rolling up that dough to capture the dripping cheese! Estonians don’t believe in sleeping on a full stomach (or being over-fed at dinner) for fear of bad dreams that may come their way. 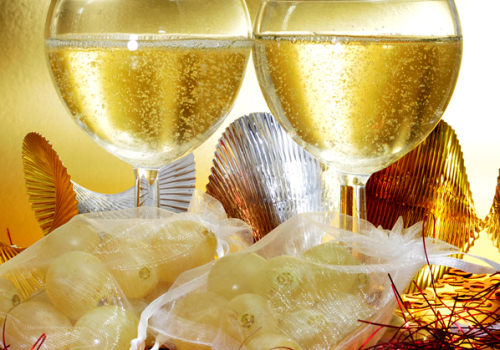 Spanish love their grapes at New Year’s Eve because eating a dozen will guarantee a blessed year. Ethiopians believe in sharing. All the food is laid out in common bowls so everyone can break bread and dip together. Ukrainians like spiders on their Christmas trees, following the tale that when two deprived children had nothing to decorate their tree with, spiders spun webs to adorn the bare branches. Lebanese guests will find themselves being pampered. Their hosts will even offer to pay for their shopping! Vietnamese believe that each grain of wasted rice on your plate will curse you into turning into a duck in your next life. So, eat it all up! Inuit people will press their nose and lips against your skin to tell you that you mean a great deal to them. This explains what we more commonly know as the Eskimo kiss. Greek children will throw their fallen milk teeth from the roof of their houses, uttering something to the effect of, ‘Replace this one with an iron tooth so I may chew on the toughest of those rusks.’ Who needs a tooth fairy?